Alex Fletcher and Virginie Lavallée-Picard coordinate The Local Food Box Program and operate Wind Whipped Farm. Wind Whipped Farm is a market garden and orchard in Metchosin. 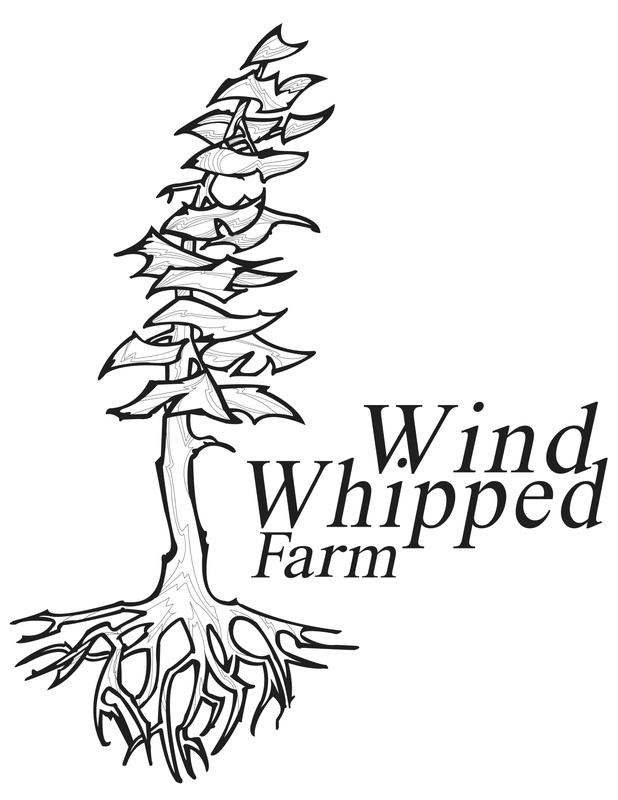 Wind Whipped Farm is certified organic by the Islands Organic Producer Association (IOPA). “We started in 2008 and sold in 2009 at our road stand, through a local box program and, by bicycle, at the Metchosin Farmers’ market. In 2010 we took the season off due to a severe case of farm-cycle-touring. After a 3 month, 3000km cycle-tour of over 20 small farms throughout Eastern Canada and the Eastern United States, we recovered, and returned to Metchosin for the 2011 growing season. Since then we have been making improvements to our operation, continuously incorporating some of the smart ideas we picked up on our trip. 2015 was a hiatus year for the Local Food Box, and Wind Whipped Farm did not grow fruits and vegetables. This allowed us to make some key improvements to our farming operations that we could not carry out while producing food: installing soil drainage, building a farm shop with a walk-in cooler and a shelter for tools and machinery, expanding our land base, and applying for organic certification. These improvements allowed us to improve our soil, extend our growing season, and expand our growing area…all with the hope of producing more bountiful and delicious food!